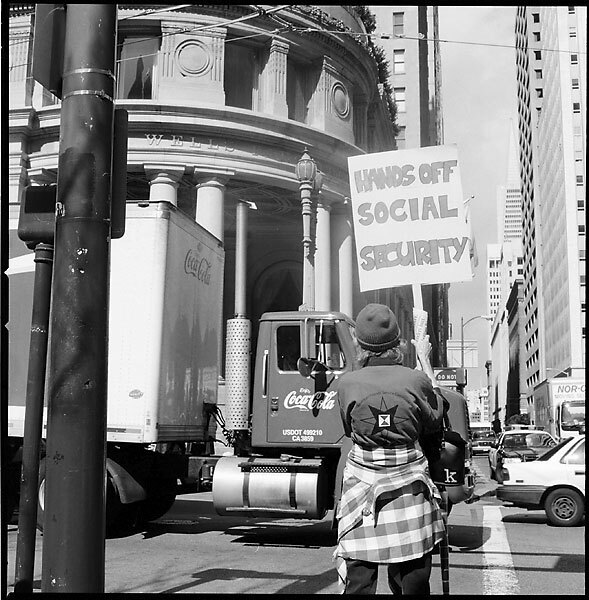 Hands Off: A protestor stands on the corner of Sutter and Market Street. Snapped on: March 1, 2005. Hasselblad 503cx, Planar 80 C T* EV17 f16 ISO400, Kodak 400TMY film, Developed with TMax Dev 1:4 7min @20°C.